The Ultimate Gift was my first feature film release. It starred James Garner, Brian Dennehy, Abigail Breslin, Bill Cobbs, Drew Fuller, and Ali Hillis. It came out in theaters in March 2007 and on DVD in August 2007. It’s based on the novel by Jim Stovall. The story explores what’s most important in our lives, the gifts that surround us every day that we may accidentally overlook: Gifts like laughter, gratitude, giving, problems, dreams, and the gift of love. This story spoke to my heart on how precious life truly is and how one day really is a gift and should not be wasted. We shot the film in Charlotte, NC, where I lived for over 15 years. 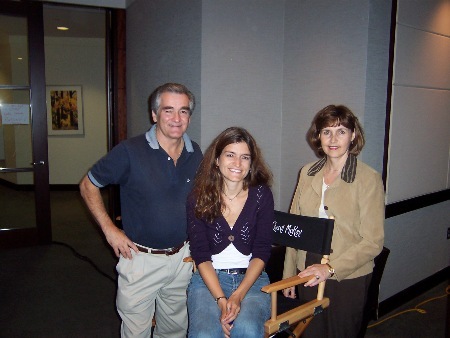 My favorite part of the filming process was getting to bring my parents to the set for a couple of weeks. I even got to throw them into a hospital scene as extras. It was also amazing to be reunited with Ali Hillis (who played Alexia in the film). 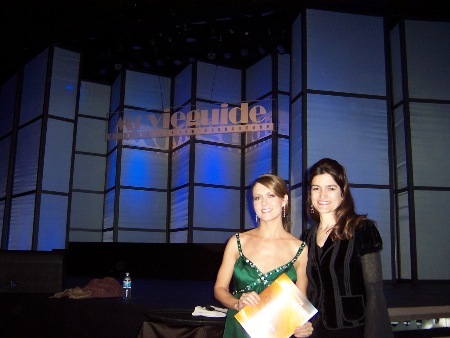 She and I used to do plays together at the Children’s Theater of Charlotte when we were in high school. 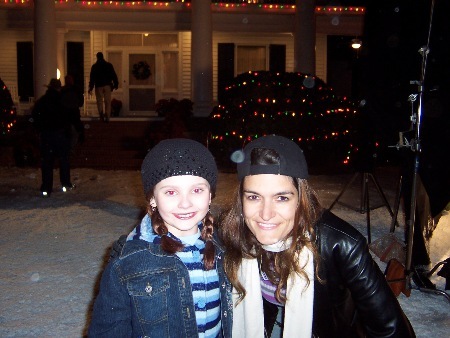 We hadn’t seen each other since, until she landed the role of Alexia (Abigail Breslin’s mother in the film). McKay, who came home to Charlotte last week for the premiere of “The Ultimate Gift,” spoke with a smile on her lips, a Christian cross on her necklace and knowledge of her blessings. Her adaptation of Jim Stovall’s book is on more than 800 movie screens, giving her wide theatrical exposure for the first time. She has a script under consideration at CBS, though, like all writers, she says little about unbought projects in the pipeline. And as we had a Chinese lunch almost in the shadow of Movies at Crownpoint — where she worked for four years so she could see free films — there were blue skies in a life that was full of thunderbolts a few years back. The lows came in 2004, when toxic mold forced her from a Los Angeles apartment and ruined treasures she’d had for decades — including her first play, written at age 5. That was also the year her father needed quadruple bypass surgery to stay alive. The highs began in 2005, when she returned to Charlotte for the making of “Gift.” Father Tom was healthy — he and her mother, Denise, are extras in a hospital scene — and her script was being shot with a cast that included Drew Fuller, James Garner, Abigail Breslin and Ali Hillis, an old friend from Children’s Theatre of Charlotte days in the 1980s. ” `Gift’ was my dream gig because of its message (of caring for others), and because it’s family-friendly,” she says. “I have not been approached to write things I don’t believe in, and I hope I never do that. It’s miserable to write if you can’t be passionate. “I give all credit for `Gift,’ to God. I pray about what I’m going to do, what I’m writing every day. I felt protected, because I know the job was a gift from him.” You could apply the word “protected” to a lot of McKay’s life, since she got her high school diploma at 16 after home schooling. She transferred from UNC Greensboro to UNC Charlotte just in time to study with Bill Streib, who’d written for TV’s “My Two Dads“; he created an independent study for her, letting her do a TV pilot. Then she hooked up with lifelong mentor Susan Rohrer, a veteran TV writer-director, while doing graduate work at Regent University. 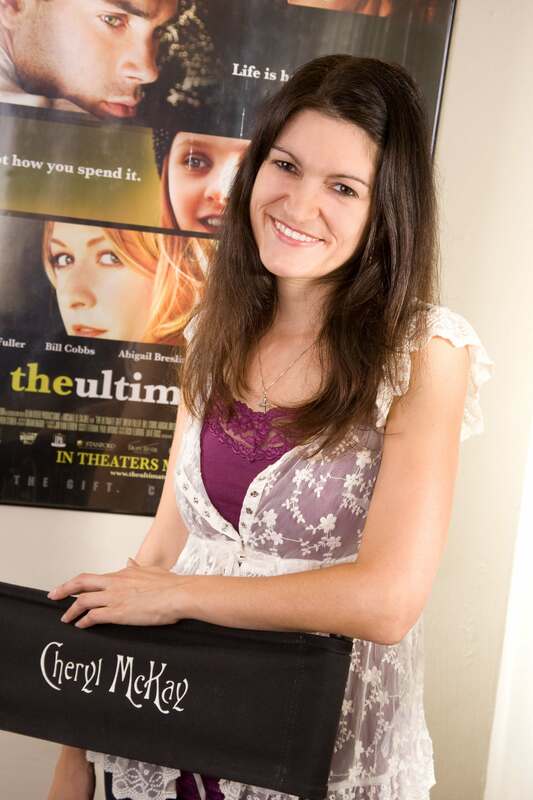 McKay came back to Charlotte to live with her folks, freelancing at WTVI and other spots as a script supervisor, camera operator, teleprompter operator. So when she moved to Los Angeles seven years ago, she went out with savings and no debt — and a connection to “Gift” producer Rick Eldridge, whose daughter had been an extra in a local TV pilot McKay had shot on a lark. “Everyone said, `Why are you moving there? It’s a pit.’ And it’s the most beautiful place I could imagine,” McKay says. “I love being close to the beaches and the mountains. I love hiking, rollerblading on the strand at the beach. I’ve gotten a lot more into physical activities here.” Like unknown actors, unknown writers take jobs outside the industry: She was a substitute at a school for kids who were pregnant, parenting or had been expelled from another location. 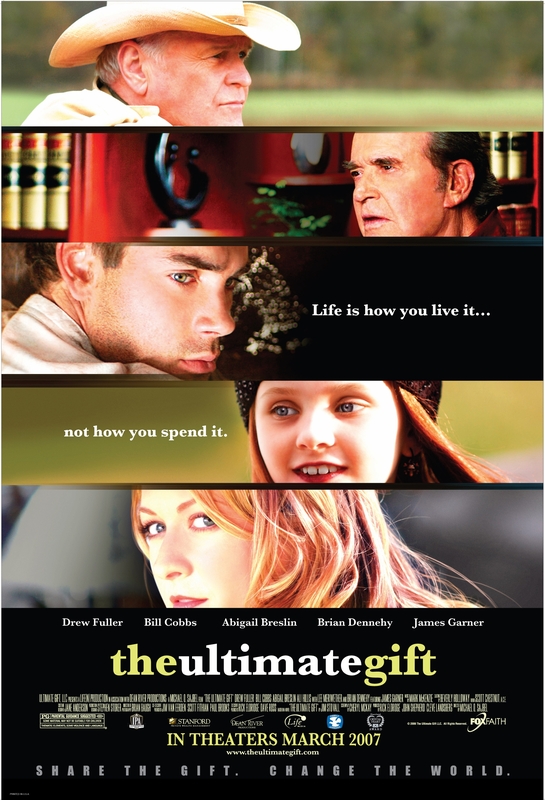 ‘Ultimate Gift‘ is now a movie .. 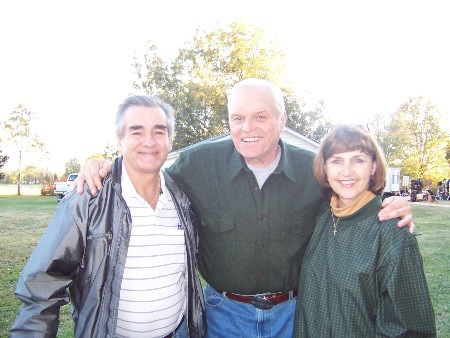 I met Cheryl McKay late in 2005, when a movie she wrote, “The Ultimate Gift,” was filming in Salisbury. The film — released Friday in 800 theaters — is based on the book of the same name by Jim Stovall. The book is about leaving a legacy (in the largest sense of the word) and made waves in the financial planning community, selling several million copies. The scenes shot at the Salisbury VA feature Abigail Breslin (“Little Miss Sunshine“), Drew Fuller (“Charmed“) and Ali Hillis (“Must Love Dogs“). It was a treat to be allowed on set and a treat to have Cheryl invite me to sit beside her. When we didn’t have to be totally quiet, we discussed the story. I told her I related to the character of Alexia, whose daughter Emily has leukemia. She listened attentively as I told her about my own daughter’s battle with cancer. She told me she’d pray for Quinn. Although I felt her interest was sincere, I didn’t really expect to hear from her. But she got in touch not long after we met, asking if she could tell family and friends about Quinn. Fundraising screenings for the film have raised more than $25 million for charities such as St. Jude’s Hospital. 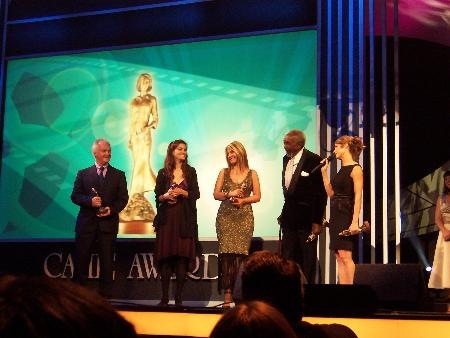 Cheryl spoke at one such event, she said, telling her audience that one of the most memorable parts of being on set was meeting me and hearing Quinn’s story. Wow. Thanks to Cheryl, I got to see the film Wednesday in Charlotte, hours before the big red carpet premiere there. The finished product is impressive, and it was very cool to see the parts shot in Salisbury. The film isn’t in local theatres (yet? ), but you can see it at Concord Mills. The story involves tycoon Red Stevens (the wonderful James Garner), who aims to do better by his family in death than he did in life. Of all his materialistic family members, he sees potential in his trust-fund grandson Jason — the type of young man who’d bully a flight attendant in an attempt to wrangle an upgrade. Jason has a perfectly superficial girlfriend (the superb Mircea Monroe) who finds him not so desirable without a working credit card. Red’s lawyer Ted Hamilton (Bill Cobbs), assisted by Miss Hastings (Lee Meriwether) gives Jason a series of 12 tasks, or “gifts,” to complete before he gets his inheritance. In one of my favorite sequences, Jason learns the value of hard work on a Texas ranch with Red’s friend Gus, (Brian Dennehy). The film’s heart is in the right place, although it tries to cover too much ground — like the scenes in South America in which Jason is kidnapped by drug lords, which struck me as overreaching a bit. For me, the movie — like life — shines in its smaller moments: Jason learning how to dig a post hole, Emily in a hospital bed teasing Jason (“An airport gift shop gift — how thoughtful”). Cheryl told me about another one of her projects in the works, a romantic comedy. “You’ll like it,” she said. “It’s called ‘Ask Riley‘ and it’s about a newspaper columnist.” Sounds like a winner to me.